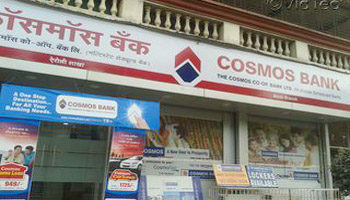 The arrests of Faheem Mehfuz Sheikh and Fahim Azim Khan along with five others using cloned ATM cards of Pune headquartered Cosmos Bank from Kolhapur, seem to suggest that any major international gang was not responsible for the Cosmos Bank heist. The accused who are from different cities seem to know that main bank server in Pune would be hacked on August 11. They come together to various ATMs lending strength to the fact that it was a pre-planned conspiracy. The fraud was captured on CCTV camera in Kolhapur. The accused used nearly hundred cloned cards to make away with the cash from ATMs belonging to several banks. A website named Bank Info Security has said that- So far, police have not found evidence that a major organized hacking group was responsible for the Cosmos Bank heist. Law enforcement officials say the incident points to the need for banks to better safeguard their infrastructures. Immediately following the incident, some observers speculated a major hacking group, such as Cobalt or Lazarus, may have been involved in the heist, based on the sophisticated techniques used. But so far, police have not found evidence tying the hack to any major group, Singh says.